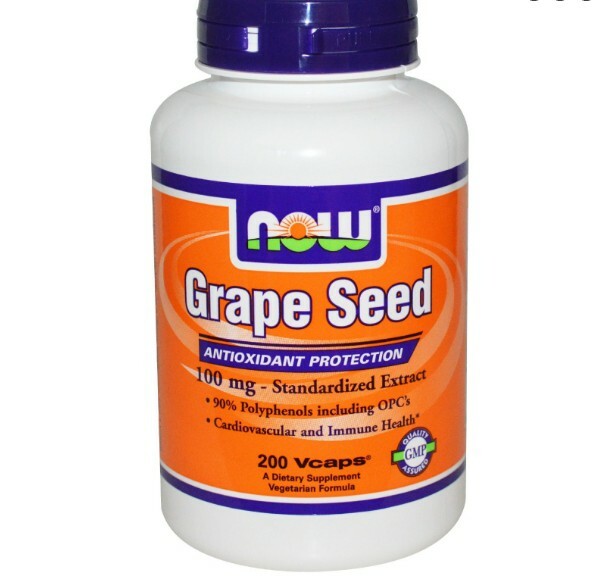 NOW Grape Seed Extract is a highly concentrated natural extract containing a minimum of 90% polyphenols, including OPC's (oligomeric proanthocyanidins), the beneficial antioxidant compounds found in grape seeds. Grape Seed Extract and OPC's have been the subject of numerous scientific studies demonstrating their efficacy in the support of cardiovascular health and immune system balance. 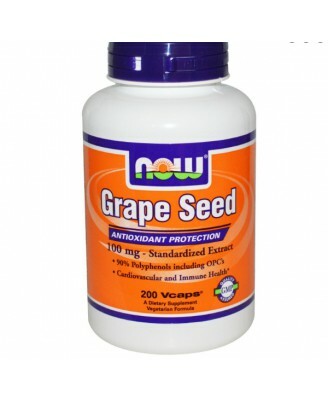 In addition, non-clinical studies have shown that Grape Seed Extract may protect healthy brain and nerve tissues. Cellulose (capsule), cellulose powder and magnesium stearate (vegetable source).Not manufactured with wheat, gluten, soy, milk, egg, fish, shellfish or tree nut ingredients. Produced in a GMP facility that processes other ingredients containing these allergens. 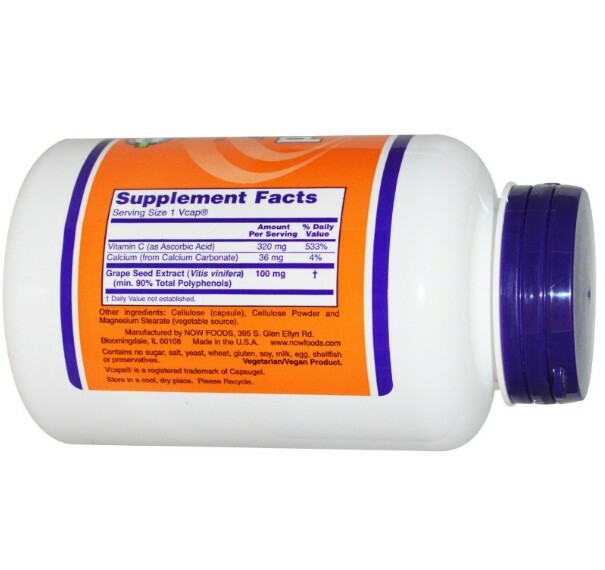 As a dietary supplement, take 1 Vcap 1 to 2 times daily with food. Consider taking these other NOW products: Alpha Lipoic Acid, EGCg and Pomeratrol. Take 1 capsule twice daily with food. , Caution: For adults only. Consult physician if pregnant/nursing, taking medication, or have a medical condition. Keep out of reach of children.Natural color variation may occur in this product.Store in a cool, dry place after opening.